Section 4 was meant to distance the Union from debts incurred by the Confederacy leading up to and during the U.S. Civil War, but starts with a clear affirmation that the United States federal government will and must meet any and all of its financial commitments. In the light of the 14th amendment, the debt ceiling is not valid under Article 6 of the Constitution. If the Republicans want to cut spending, they should past more austere budgets, and shame on President Obama for playing along with the scare-mongering. This entry was posted in Politics on July 26, 2011 by Burrowowl. Recently there has been a lot of talk about civilian casualties in the Libyan civil war. Terms like “indiscriminate shelling” are thrown about, painting Muammar Gadhafi’s troops as abject villains. I have no intention of painting them as otherwise, but something keeps coming to mind when I read such reports: why are we only hearing about indiscriminate shelling in rebel-held towns? Syrian security forces fired bullets and tear gas Friday on pro-democracy demonstrations across the country, killing at least 49 people — including a young boy — in the bloodiest day of the uprising against President Bashar Assad’s authoritarian regime, witnesses and a human rights group said. 49 people killed? That’s terrible. Including a young boy? Those monsters! How could they… wait a minute, hold up there. Who the heck brought a young boy to a protest against a brutally-repressive dictatorship? Against a regime headed by the son of a man that reputedly massacred 10,000 to 40,000 people under similar circumstances in 1982? The Syrian security forces may well be callous, inhuman monsters to fire on a crowd of protesters, but somebody was seriously negligent to let their son attend such a thing. I’m not blaming the victim here, I’m just assigning a fraction of the blame to the people that were supposed to be responsible for him. 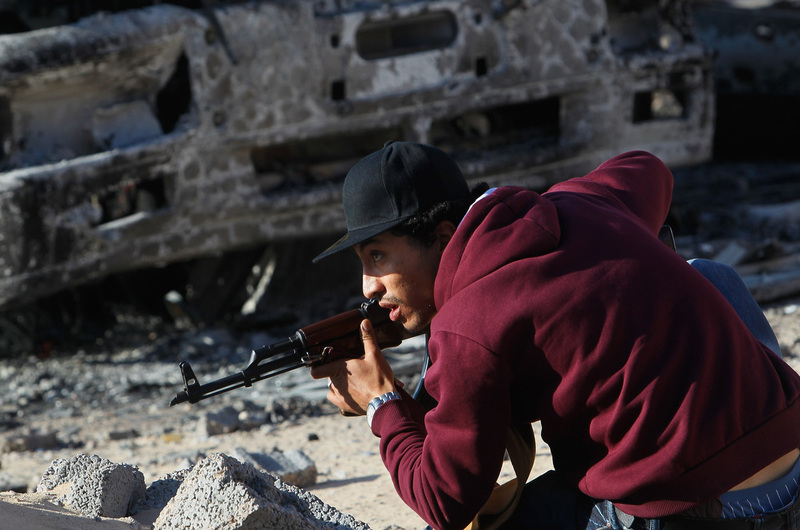 Going back to Libya, it seems that rebels have holed up in a close-quarters situation that exposes the local civilians to an undue amount of risk. If they had taken up positions outside the city, Gadhafi’s forces probably wouldn’t be attacking the city. They are using the city and its inhabitants as a shield, in hopes of staying the hands of their adversaries and stirring up the international community against their dictator’s atrocities. Marine General James Cartwright, vice-chairman of the Joint Chiefs of Staff, said the drones can help counteract the pro-Gaddafi forces’ tactic of travelling in civilian vehicles that make it difficult to distinguish them from rebel forces. Those dastardly pro-Gadhafi jerks are using civilian vehicles to sneak out of the city. Because it makes them look like… Yeah, it makes them look like rebels. Because the rebels are hiding themselves amongst the civilians. Which makes the civilians look like targets. Let’s keep in mind that both sides had a hand in this. This entry was posted in Politics on April 22, 2011 by Burrowowl. 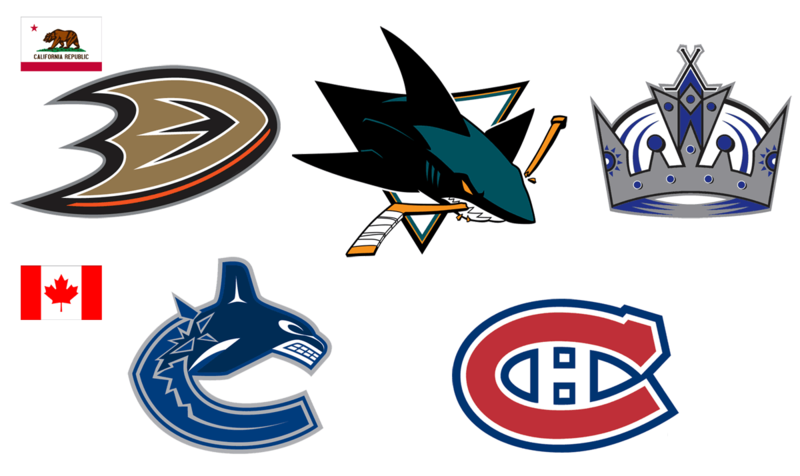 Not a sufficient or even sensible reason for California to just break off from the United States entirely, but something I realized last night: California has more teams in the NHL playoffs than Canada does. Canada has 33.3 million people, California has about 37 million. Of course, Canada has 225,000 registered minor players in Ontario compared to California’s measly 4,300. While not as self-sufficient as Minnesota or Massachusetts at providing our own hockey players, I think California has demonstrated a more-than-adequate ability to import high-quality Canadians to supply all of our domestic puck-chasing needs. This entry was posted in Politics on April 11, 2011 by Burrowowl.